The Homeschool Buyers Co-op is pleased to present the BEST DEAL ON THE PLANET for GrammarActive™ from Forever Learning. 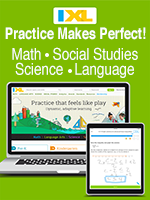 GrammarActive is a research based, hands-on approach for Grammar instruction for grades 3-12. We are so pleased that Forever Learning has returned to the Co-op to continue member savings! What's more, as part of LANGUAGE ARTS MONTH at the Co-op, place your order before the expiration date shown above and you'll get 250 Bonus SmartPoints. Forever Learning's multi-sensory, kinesthetic programs offer you tools to teach, reinforce, and then review concepts through hands-on instruction. 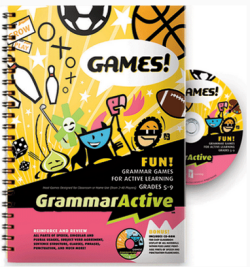 The GrammarActive Series of products are based on national language arts curriculum and standardized testing requirements for grades 5-11, although the program can be integrated for beginning to advanced grammar students. Visit the GrammarActive website for more information. Fulfillment: Your order will be submitted to Forever Learning within minutes of placing your order. Products will leave the Forever Learning warehouse within 5 business days (or less) after order placement. Shipping: $7 Flat rate shipping to U.S. destinations. Orders including 4-Volume Binder Set, please add $24.50 per unit for extra weight charge. Canadian destinations, please add an additional $3. All other International destinations, please add $12. Sorry, expedited shipping is unavailable. Returns/Cancellations: As this is a special group purchase, you cannot back out once you place your order. Refunds accepted by Forever Learning for products returned within 30 days. Refer to Terms & Conditions for complete details and restrictions. Grammar Games for Active Learning - CD-ROM. This is a CD-Rom ONLY! Filled with over 70 action-packed learning games and over 440 large printable parts of speech and punctuation flashcards. 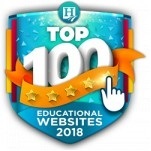 Winner of AEP Distinguished Achievement Award!A 155 page spiral bound teacher resource book with CD-ROM is filled with over 70 action-packed learning games and over 440 large printable parts of speech and punctuation flashcards. Carefully designed for intensive review and reinforcement of English grammar usage, mechanics, and structure, this teacher resource is easily used with multiple age and ability levels (from beginners to advanced). It is a necessary supplement to any grammar book found in classrooms today. When using these kinesthetic, exciting grammar games, your students will begin to associate fun with grammar; that is a combination sure to enhance any student's learning experience. Volume 1 - Nouns and Pronouns: Includes easy-to-use CD ROM with over 200 pages of instructions, pre-tests , worksheets, flashcards, games, activities and assessments that teachers can print or project from a computer. Volume 2 - Verbs: Includes easy-to-use CD ROM with over 160 pages of instructions, pre-tests, worksheets, flashcards, games, activities, and assessments that teachers can print or project from their computer. Volume 3 - Adjectives and Adverbs: Includes easy-to-use CD ROM with over 200 pages of pre-tests, instructions, worksheets, flashcards, games, activities and assessments that teachers can print or project from a computer. Volume 4 - Conjunctions, Prepositions, Interjections: Includes easy-to-use CD ROM with over 150 pages of pre-tests, instructions, worksheets, flashcards, games, activities and assessments that teachers can print or project from a computer. 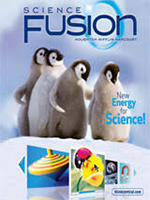 NOTE: CD-Rom content includes pages of instructions, pre-tests, worksheets, flashcards, games, activities, and assessments that can be printed or projected from a computer. Prefer printed binders? Please see "GrammarActive Parts of Speech Series (4 Volume Set)" product above. Each volume includes instruction, activities, followed by review games for all parts of speech, punctuation, usage, editing, and then helps students apply the practices to their writing. 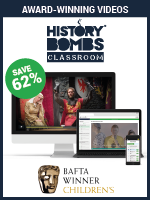 Lessons offer at least 3 levels of difficulty, enabling students at varying levels to work on different skills. Levels progress from 1-3 (easiest to most difficult). 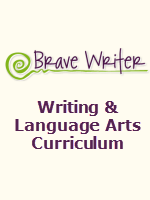 All level three activities tie in plots from contemporary and classic, age appropriate literature. SET INCLUDES:: Four binders, CD-ROM, and over 440 magnetic parts of speech and punctuation flashcards. *This edition has an added bonus of a Comprehensive Parts of Speech Review Game. NOTE: You may purchase a maximum of 5 units of this product per order. If you need more than 5, please place an additional order. 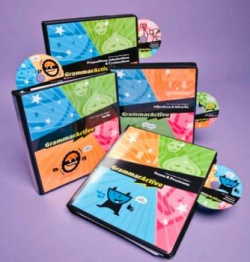 To purchase just the CD-Roms without the binders (Volumes 1-4) please see the "GrammarActive Parts of Speech Series (CD-Roms) Volumes 1-4" product below. GrammarActive Tic Tac Toe: This is a single user download version. For product description, please see above 'group' license product. GrammarActive Tic Tac Toe CD: This is a single user version CD-ROM. NOTE: Content, instruction, and review is included within each 'parts of speech' category. Demo link(s) only allows access to the 'demo game' portion of the product. Online Version for up to 20 Users, 24/7 access! Great for beginning to advanced grammar students. Games are scored and recorded each time they are played! Teachers can now track student progress and monitor usage.